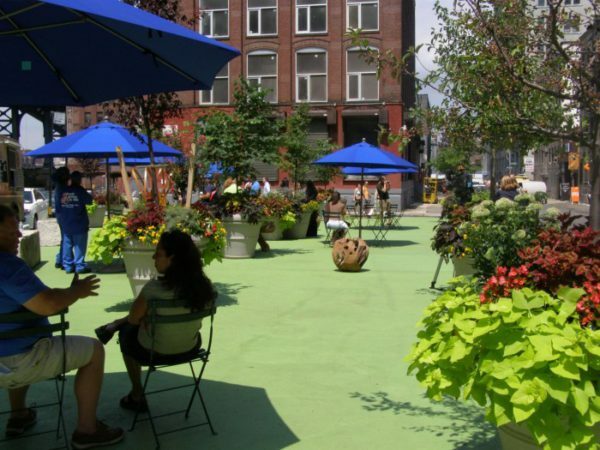 Public space improves the well-being of local citizens, according to The Plaza Perspective. Citizens are better connected, happy and also more prosperous, it argues. But despite some of the world’s foremost cities creating more public space for its citizens – think Times Square in New York or the way in which Copenhagen has re-appropriated streets for pedestrian use only – a lot of people are still opposed to the idea. The article lists the five biggest objections to creating public, pedestrian space where cars used to dominate. It also gives advice on how to address these fears. 1. It will attract vagabonds. Not really, The Plaza Perspective claims. While there may be a few more homeless people visiting the area (as is their right), all kinds of other people will also make use of the new space. Once a new public space has been taken into use, ask the police to initially increase their patrols. Also make sure the necessary contact numbers are put up for people to report inappropriate behaviour. 2. The traffic will be terrible. Nope. As soon as regular users have established new routes, the traffic will return to equilibrium. An international study looking at 60 cases where streets were narrowed or removed, found that traffic actually got less – on average 20% of the traffic that used to use those streets, adjust their patterns significantly and make use of other routes. To ease the teething problems, make sure the signage is clearly visible. Also, do not increase available parking in the area as parking creates traffic. 3. The physically infirm will suffer. Not true. 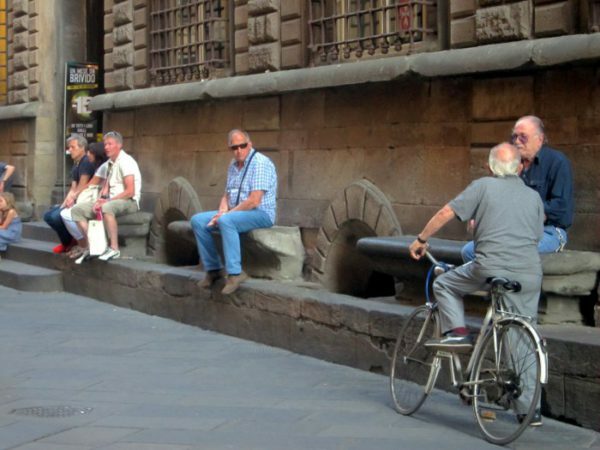 Older people and those with physical disabilities love public space, as it allows them to meet and interact with others more easily. Add a few extra disability parking spaces. 4. It will harm business. Not at all. At pedestrian pace, it is much easier to notice things in shop windows. Think of famous streets such as Las Ramblas in Barcelona – also a prime business address! Give access to goods vehicles early in the morning and accommodate merchants by allocating a number of merchant-only parking spaces close-by. 5. Pedestrianised streets failed in the past. The article tells of about 200 pedestrianised spaces that were created between the 1950s and 1970s in the US. By 2000, all but 15 were returned for use by motor vehicles. But before criticizing the concept of pedestrianised space, first look at the way in which these 200 odd examples were implemented. Most were created in areas where traffic – of any kind – was growing less. If there is no reason for people to visit, why should they bother? The revival of so many of our inner cities, is ideal to introduce public, pedestrianised space as there are people using the areas again. 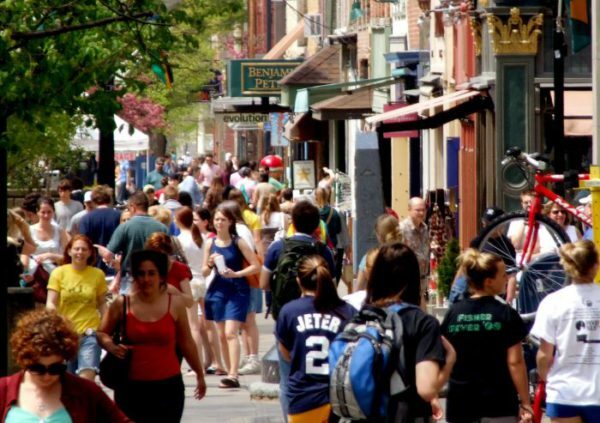 When introducing new pedestrianised spaces, always remember to involve as many parties as possible – local business owners, residents, councillors and members of the public. By being inclusive, success is as good as guaranteed.